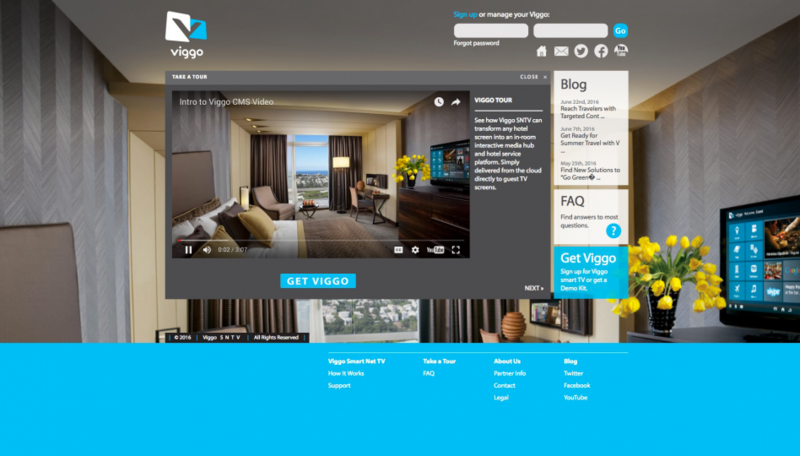 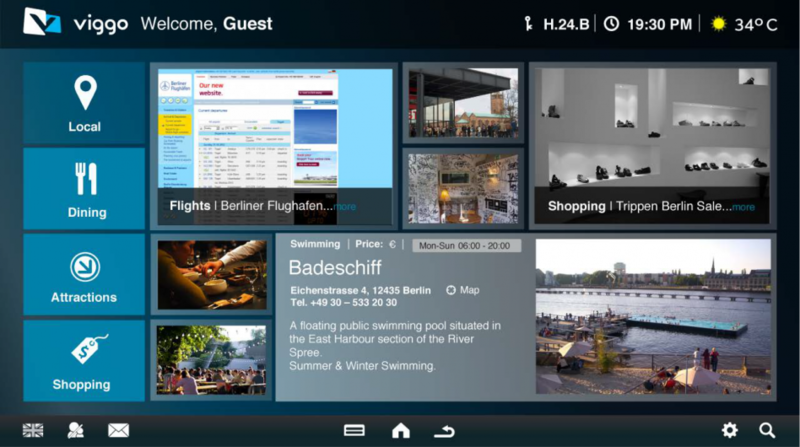 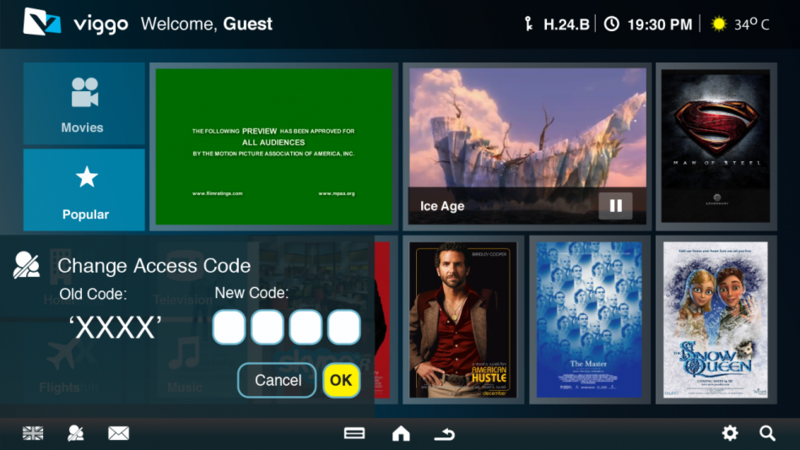 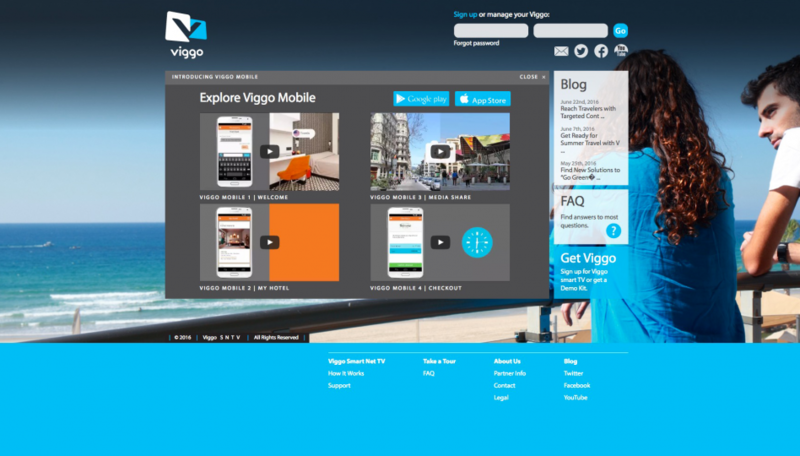 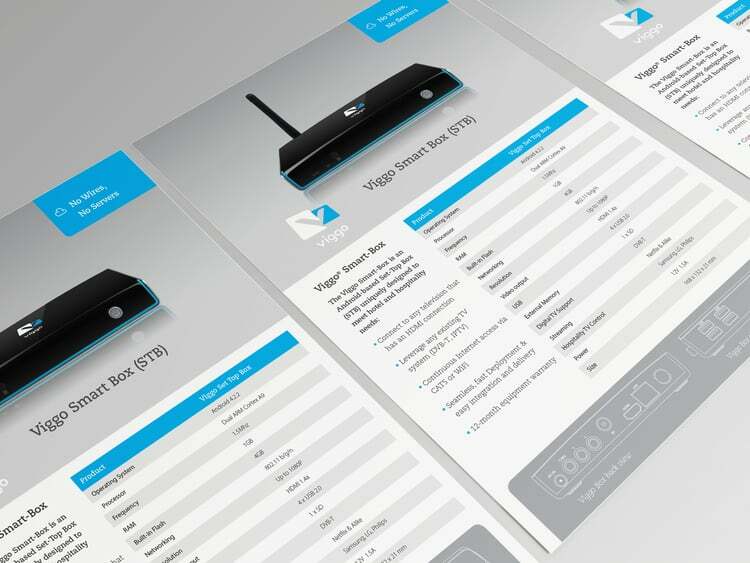 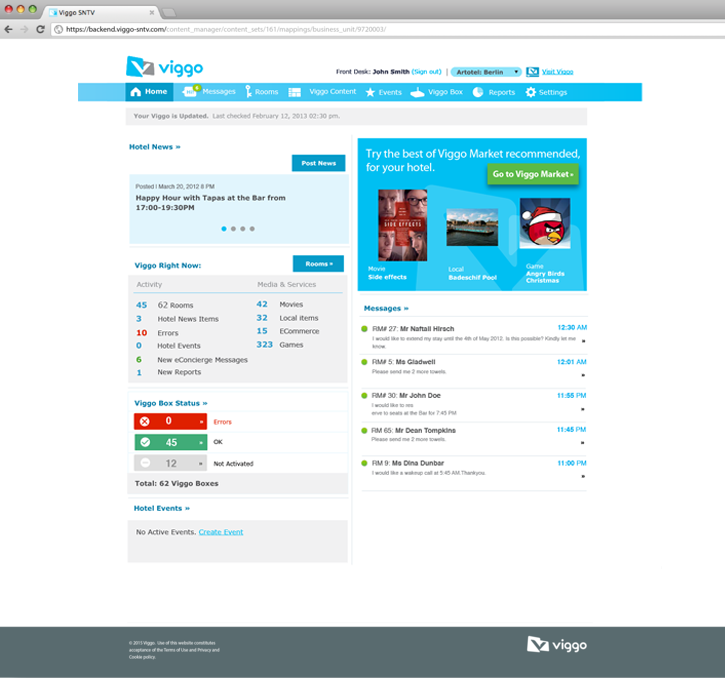 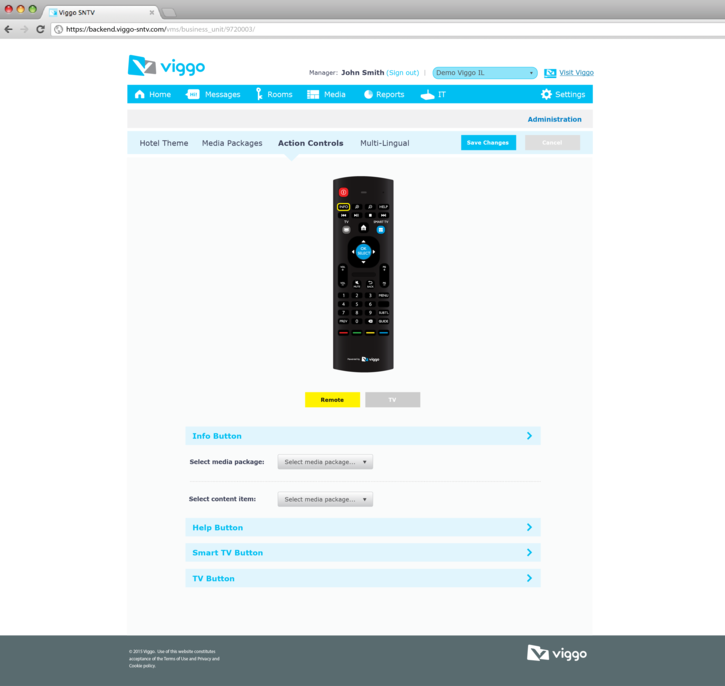 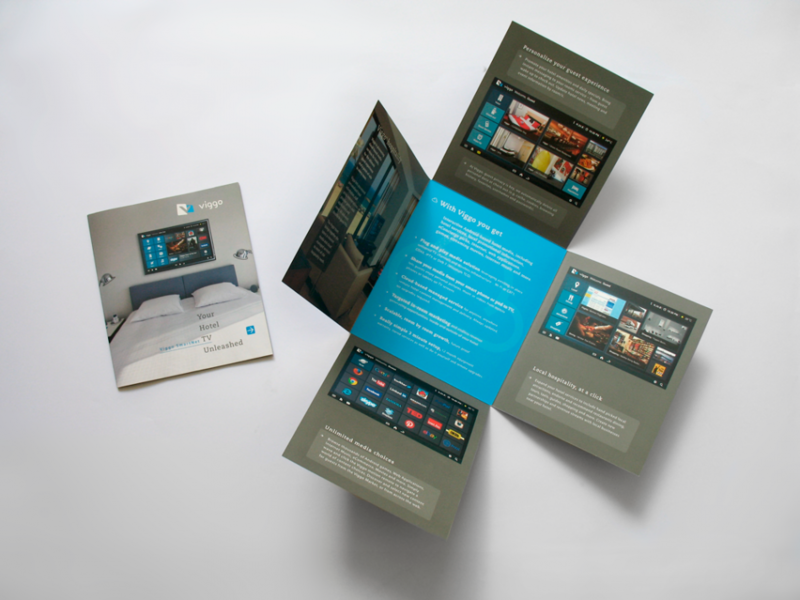 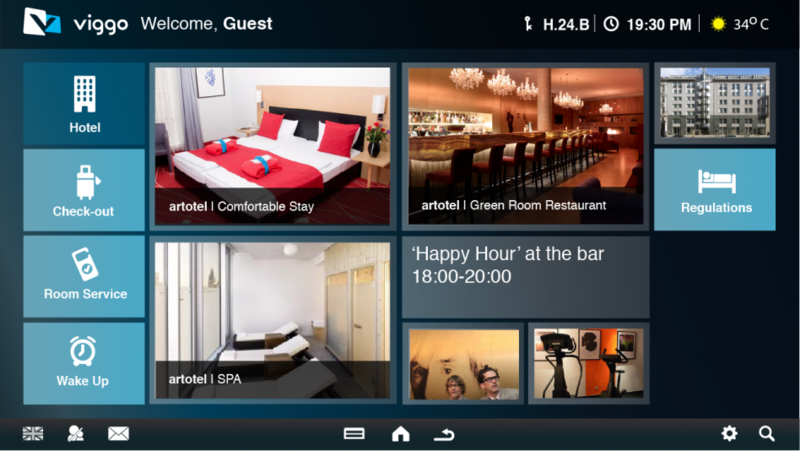 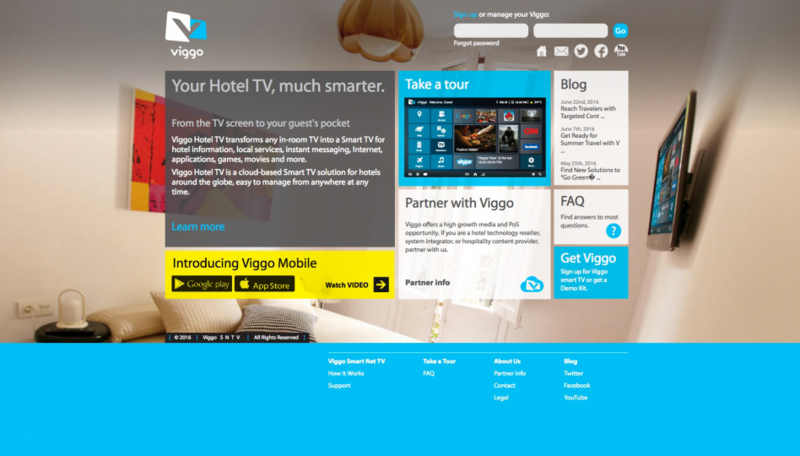 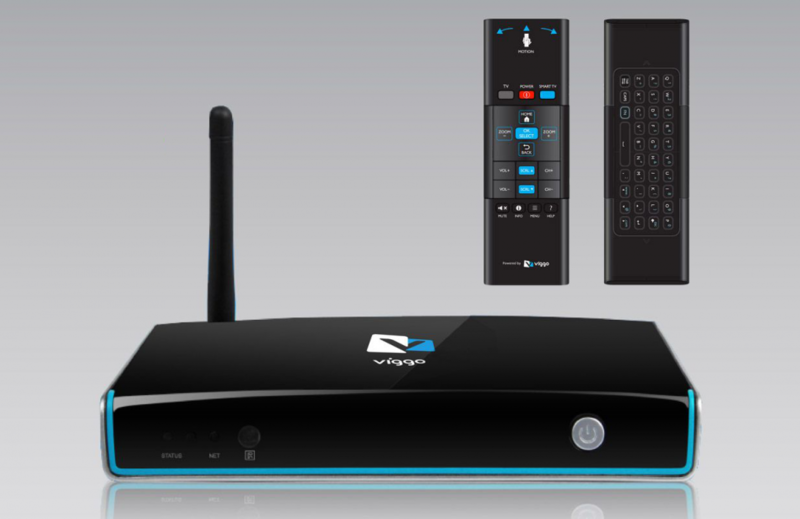 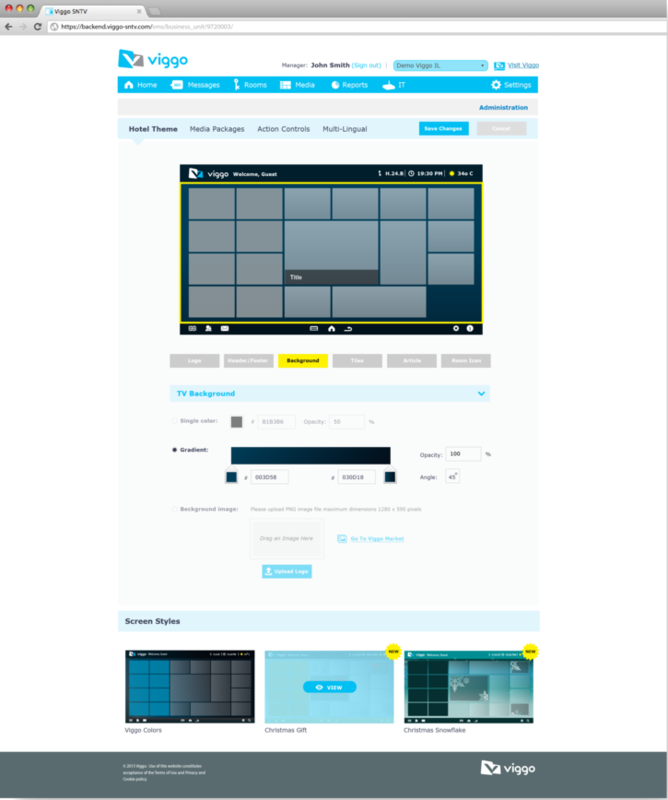 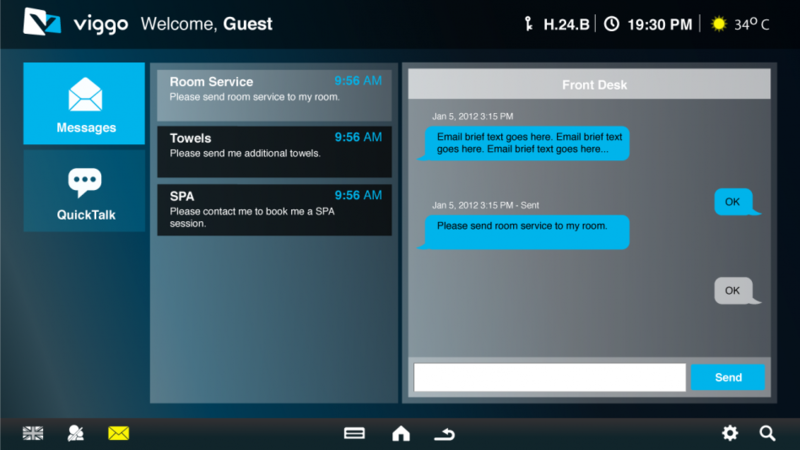 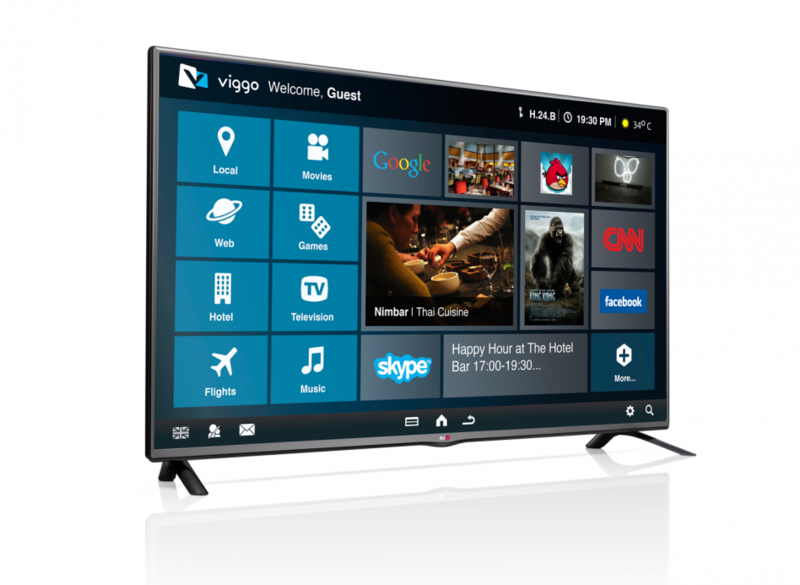 Viggo.tv is pioneering managed smart-TV services for hotels and the hospitality industry. 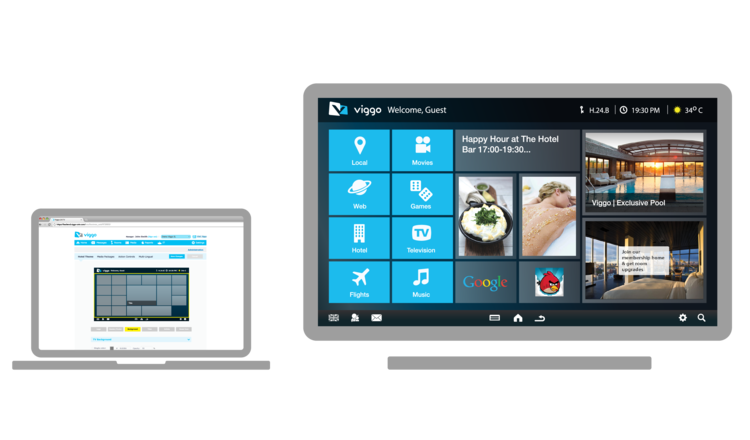 With Viggo hotels of all sizes can extend smart-TV media services, for in-room Internet access, games, movies, hotel services, along with promotion of local attractions and events, in and around the hotel. 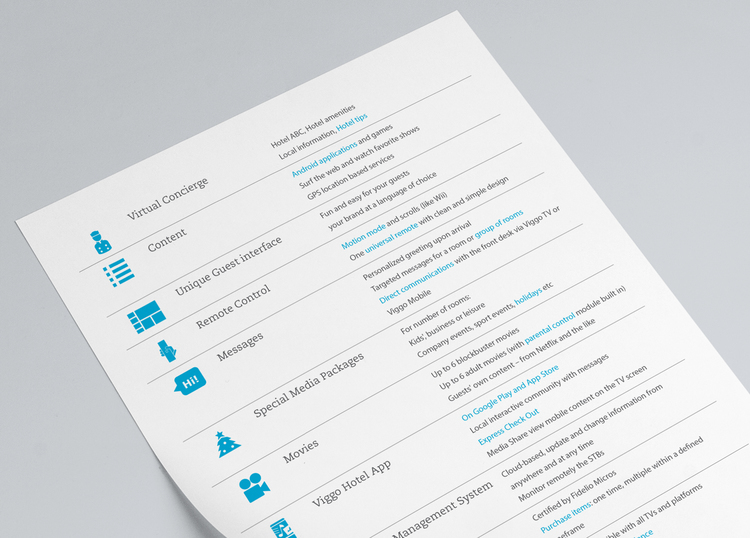 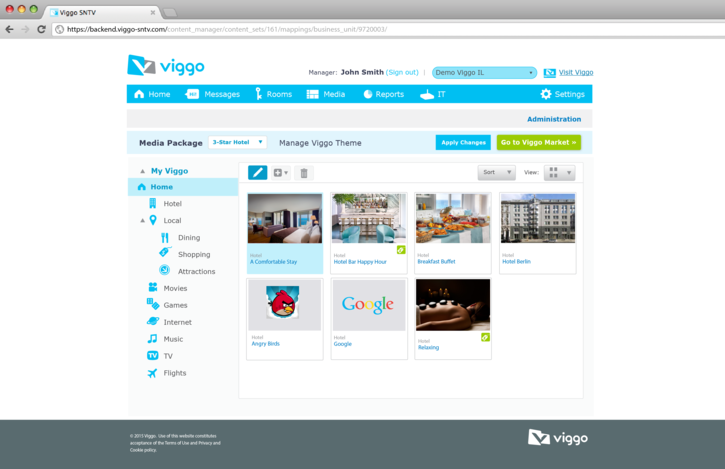 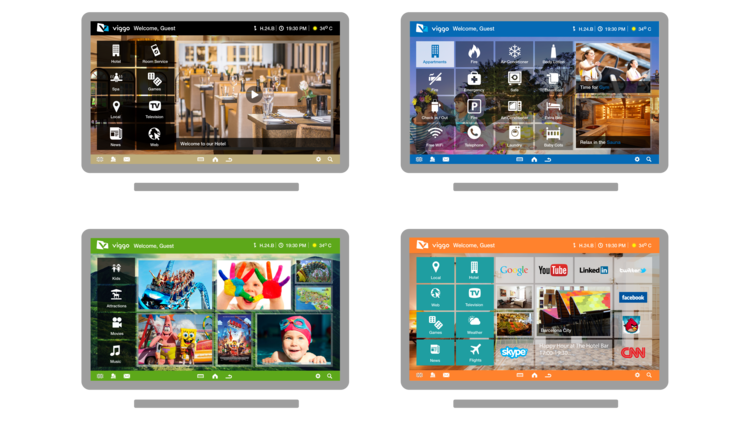 Viggo is a fully managed service, based on a wireless, Android-based smart-TV Box and a cloud-based content management system, that lets hotels simply customize and manage their brand and content. 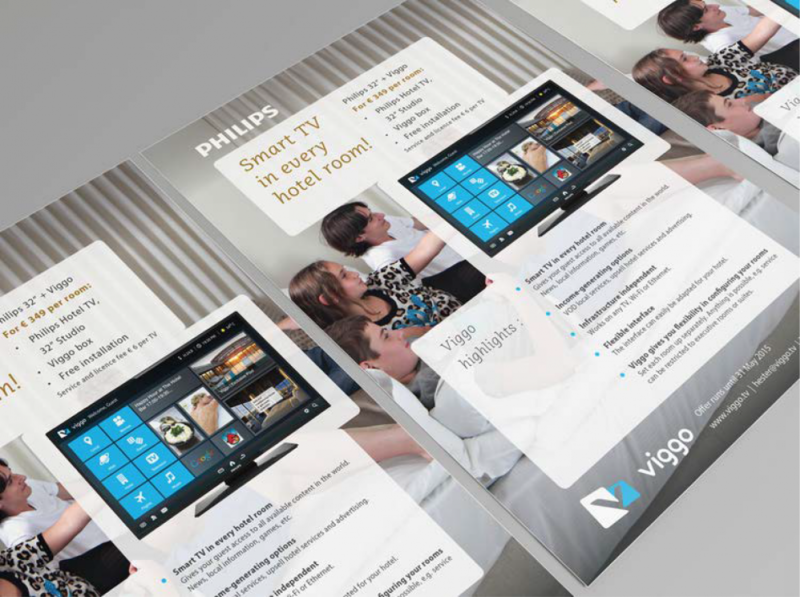 We worked with Viggo.TV on strategy, naming, positioning, service definition, branding, User Interface, product design, Viggo.tv website and print marketing materials.